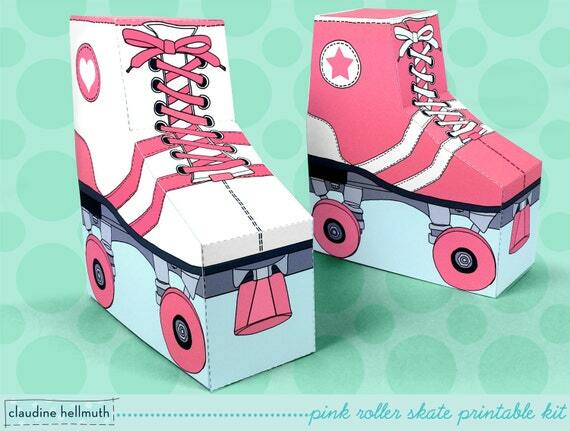 You'll have tons of fun making these Hot Pink Roller Skate printable party favor boxes! Each roller skate fits wrapped candies, gift cards, cookies and small gifts. In this kit you'll get two skate designs: a white roller skate with pink trim and another skate that is pink with white trim - and you can print and make as many as you like for your own personal use. Perfect for retro 80's, roller derby or skating parties!